This article was originally published in the Woodstock Journal, August 1997. It's a leaner, cleaner perk that spins out of Rick Danko's eye as he discusses the future but it's driven by the same jaunty, imprudent spark that has effervesced the spirit of his music since he formed the first Rick Danko Band at age 12 or 13. With little hesitation he was as ready to rattle off the names of members of that original group as he was to identify the players comprising the current quartet that will help him headline the 1997 Woodstock Labor Day Jubilee at Andy Lee Field on Sunday. Besides Rick himself on bass and guitar, one of the most remarkable of living harmonica masters, Shredni Volmer, will contribute his note-curling magic to Professor (Aaron Hurwitz) Louie's carpet of keyboard and accordion as Rick's fellow member of a certain legendary rock band, drummer Randy Ciarlante, punctuates the flow. Hometown performances have been rare in recent years for the Dankster and this one comes on the heels of an overseas ordeal which startled fans around the globe when he was detained for an extended period by Japanese authorities in connection with the shipment of a package containing a controlled substance. Danko had performed shows there with Merle Saunders' Rain Forest Band and the New Riders of the Purple Sage which were filmed for release later this year. He also appeared with The Band's tour and in other venues with Eric Andersen and Jonas Fjeld, which whom he has recorded two well-received albums for Ryko. "It was one of those dumb, foolish mistakes," said the Rock & Roll Hall of Fame inductee. "You're going to have to wait until I write the book; that chapter in the book, you know. But it's behind me now and I'm glad it is. It was unfortunate it took that time to go through the process but I'm better for it and it gave me some time to just reflect." Thinner by 30 pounds and looking to slim another 20, Danko said he was feeling good, touched a hand to his newly bearded cheek and looked on the bright side. "It was a pretty good sabbatical for me," he said. "I got to lose some weight, read some books, do some research, write some songs. I used the time to my advantage as opposed to sitting and sucking my thumb." Most of his time was spent in a 6' by 12' room with 15' ceilings, practically a studio apartment in a country where space is at such a premium, he pointed out. Three baths a week in Japanese tubs. "In the first detention center I was with a bunch of smugglers because they thought I was a smuggler," Danko said with some exasperation. "In the second space I was alone. It was kind of like being on the road with The Band. I had a guard going from point A to point B but with no audience and no applause. Except for exercise, the library and the baths, I was well protected- just like normal life- and I got to lay around a lot, something I'm not used to." He finished the line with an ironic laugh. 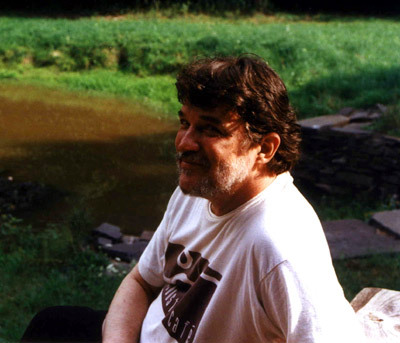 Although gratified by the concern expressed by friends and fans, Danko was quick with assurances that he's been through a lot worse and considers himself "a lucky fellow" when he reviews career highlights and low points: "I did that Roger Waters thing over in Berlin with Van Morrison, Cyndi Lauper and a host of others a few years ago, when the Wall came down. Playing with Bob Dylan from '65 and '74; highlights with The Band- The Last Waltz was truly a special moment. I've been a lucky guy to be in the right place at the right time. As for the best moment- I'm still waiting for it..."
Danko recounted much darker times which included the loss of a son; the death of Richard Manuel and of his parents. Japan, he said, could hardly hold a candle to tougher times like "when I broke my neck and back in 7 places and had to lay still- without moving for 6 weeks with weights on my neck and a string that came out of my skull." He was speaking of an unpublicized car accident in 1968, after the release of Music From Big Pink. "That was one of my darker moments," Rick recalled. "They told me I was too hyperactive to lie still and they would have to wire me up but I managed to lay quiet and get through it with some medication.. that would cause me more trouble further along. But it did help me lay still and by the time I got down to the 6th week and there was only 5 lbs out of the 30 lbs, I was pretty light-headed. I had to learn to walk again. I had to learn a lot of motor skills. I'm sure there'll be some dark moments yet to come and some highlights ahead. That's kind of the territory of this business." 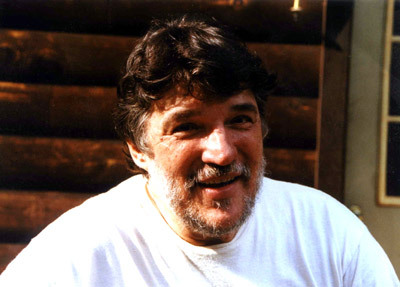 Even while his body was confined in Japan, Rick's music stayed in motion with the release of the first CD issue from the new Woodstock Records company, Rick Danko In Concert; a collection of recent set favorites recorded live at the Orpheum Theater in Foxborough, MA on Lincoln's birthday this year. Featuring a novel, jazzy and lighthearted take of a tune he electrified audiences with in Martin Scorsese's documentation of The Last Waltz- "Stage Fright," the set includes a rollicking version of J.J. Cale's "Crazy Mama"; a powerful run with "Chest Fever" and a sensitive rendition of Bob Dylan's "Blind Willie McTell." Other songs, such as "Twilight" and "It Makes No Difference Now," demonstrate Danko's attention to polishing the dancing phraseology of his mournful and moving voice, a reward to the 20,000 fans who have already picked up the disk through the website; theband.hiof.no. At New York City's Bottom Line on August 16th, Rick performed his first show of the summer. On the 18th, when he stopped off at a Bob Dylan music hall performance in Wallingford, Conn., to present a copy of the new CD to his old friend, he was asked up on stage to sing along on "Wheel's On Fire," a tune he co-wrote with Dylan in the "Basement Tape" days. Alternating and then sharing verses, the clear-eyed Danko declared it was just as crisp as if no time had passed. Beyond the exciting bill of announced talent sharing the stage at Sunday's concert; Joey Ramone & The Independents; the Pushstars; The Migrants; Moon Boot Lover and Big Sister (all up & coming acts well worth your attention), Danko promised some special guests at the event but wouldn't budge on naming them. It is interesting to note, however, that Andersen and Fjeld- who are scheduled to record a 3rd album with Rick and may be interested in the new state-of-the-art control room at Bearsville Studio's Turtle Creek barn, are due to fly in on the 29th. Beyond that, it's pure guesswork but, after gigs at the Syracuse Hotel and the Town Crier, Danko is pumped for his first solo studio album since a brilliant and underappreciated release on Arista shortly after Clive Davis formed the label and The Band had waltzed its finale with Robbie Robertson. Before disbanding, the historic group was aching for want of fresh strong material and Danko's sumptuous treatment of numbers like "Brainwash," "Once Upon A Time," "New Mexicoe,"(sic) "Java Blues," "Sweet Romance," and others on that first solo effort have only gained strength and stature with time. A new album of studio originals could represent answered prayers for anxious followers around the world.